Setting the optimal inventory position is core in complex multi-stage supply chains to be able to fulfill high service levels without exploding inventory costs. Often demand and supply side are not stable but are subject to uncertainty and variability. Demands, capacities, production batch sizes or lead times get unpredictable and can highly fluctuate from month to month. These elements of uncertainty can occur at each individual node in a network but the effects will multiply across the whole supply chain. Traditional inventory optimization algorithms often ignore these effects. They are mostly focused on one stage in the network during optimization which leads to an over-buffering of inventory requirements across the supply chain. With Enterprise Inventory Optimization (EIS) and IBP for Inventory, SAP offers two comprehensive toolsets for real multi-echelon inventory optimization. The network is considered in its entirety accounting for multiplication effects of demand variability and supply uncertainty in the network. Both solutions deliver inventory target and internal service level recommendations at item-location level granularity and provide parameters for other APS systems. In addition, IBP for Inventory is fully consistent with other IBP applications. Increasing customer service level through improved fill rates and reduction of stock outs. Reduction in inventory and working capital costs. Higher productivity in planning processes and activities. Decreasing distribution costs through elimination of excess. Inventory optimization is a very sophisticated but also business-critical topic that requires a profound knowledge of stochastic and real business planning processes. Westernacher consultants are highly qualified from an academic perspective but also from operational experience in implementing planning solutions. We are able to support you very well in selecting the best tool, integrating it in your current system landscape and aligning it with your current business planning processes. 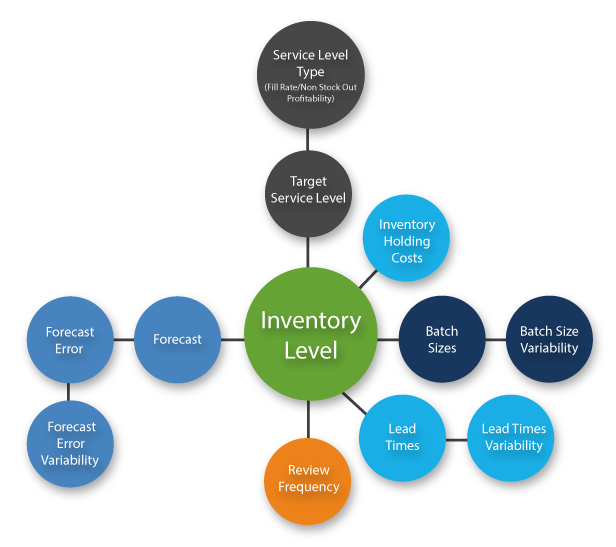 Why invest in Inventory Optimization?